To be precise, anything above the monitor refresh rate is not going to be recognizable. Mine maxed out at 60Hz 1920x1200. Correct me if I'm wrong. If you read AnandTech's 'Triple Buffering: Why We Love It' article, there is a very slight advantage at more than 60fps even though the display is only running at ~60Hz. If the GPU finishes rendering a frame immediately after the display refresh then that frame will be 16ms stale by the time the display shows it as it won't have the next one ready in time. If someone started coming around the corner while that frame is stale it'd be 32ms (stale frame then fresh frame) before the first indicator showed up. This is simplified as with v-sync off you'll just get torn frames but the idea is still there. 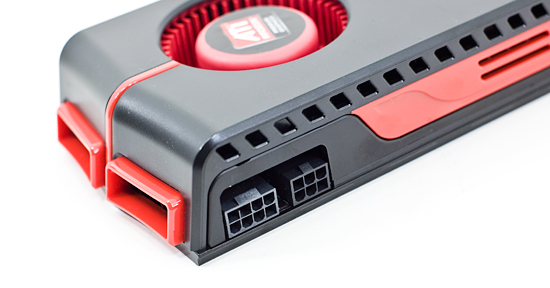 OK, so seriously, did you really take a $600 video card and benchmark Crysis Warhead without turning it all the way up? The chart says "Gamer Quality + Enthusiast Shaders". I'm wondering if that's really how you guys benchmarked it, or if the chart is just off. But if not, the claim "Crysis hasn’t quite fallen yet, but it’s very close" seems a little odd, given that you still don't have all the settings turned all the way up. > corner and start blasting away at you. than anything as you say, it's the 3D effect which makes the experience. 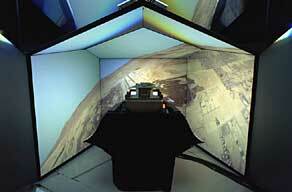 270 degree wraparound, 6-channel CAVE (Lockheed flight sim). I have an SGI VHS demo of it somewhere, must dig it out sometime. Naturally, filming a CAVE in this way merely shows a double-image. volumetric effects such as water, snow, ice, fire, mud, rain, etc. flowing water can make things move, knock you over, etc. "This means that it’s not just a bit quieter to sound meters, but it really comes across that way to human ears too"